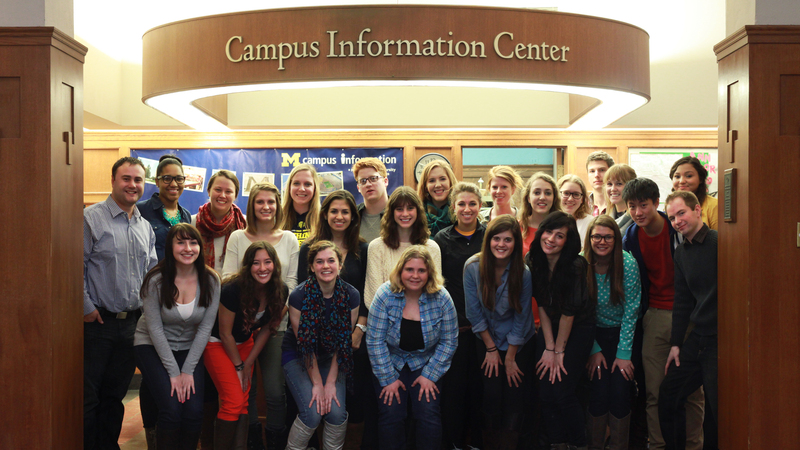 Campus Information is more than just a hub of information about the university and Ann Arbor. Campus Information provides an array of services in person at the Michigan Union and Pierpont Commons, over the phone, by email, via social media and through online chat. Want to help your student find their new residence hall? Check out their interactive campus map. Not sure what all the acronyms mean? Fire up the Acronyms Decoder. Looking for something to do? Explore the online Events Calendar. And don’t miss the Blue Prints blog, rich with information about important deadlines, internships, careers, academic advising, health, safety, social life and much more! If you have a question or need to find something during the 5 hours a day they are not open, check out the sidebar of the Campus Information website. It has easily searchable resources to help you find what you need. Have any other question like: how do meal plans work, where are the best study spots on campus, or how to set up a bank account in Ann Arbor? Just tweet your question with #AskUmich included or @umichcampusinfo and a friendly staff member will answer! The Michigan Union is home to Campus Information's central hub. Not too many people know that Campus Information checks out student organization office keys, visitor locker keys, a key for the music practice room located on the third floor, laptop locks, HDMI cables, and Mac projector adaptors. Lose something while visiting U-M? Campus Info maintains a lost and found system for the Michigan Union and immediate areas. Items are kept for at least one week before donating items or giving items of value to the Department of Public Safety. Be sure your student checks promptly if they misplace something. Campus Information at Pierpont Commons, located in the magical forest that is North Campus, offers slightly different services - like billiards sporting equipment and laptop locks and special info about events going on in Pierpont Commons and across North Campus. They invite you to call them at (734)764-INFO or visit one of their two locations; Michigan Union on Central Campus and Pierpont Commons on North Campus; it’s a great place to visit for those who want to follow the pulse of campus and keep up-to-date.